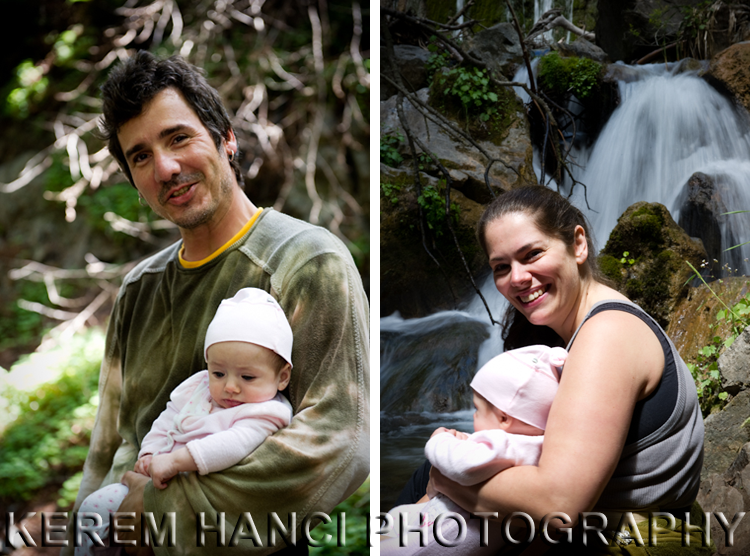 Despite all the people who said that we were crazy to take a 4 month old baby camping, despite other people saying they wouldn't go camping with a baby, Jennifer, my cousin and I took our daughter Vivienne to our favorite camping spot, Big Sur this week. We made weeks of preparation. And by "we", I mean Jen. She researched every single thing we would need, she found a big tent. OK, I found a few big tents and she chose one. And, oh boy, is it big! More on the huge tent later! Once we settled, we immediately grabbed our beers and headed to the lovely beach. 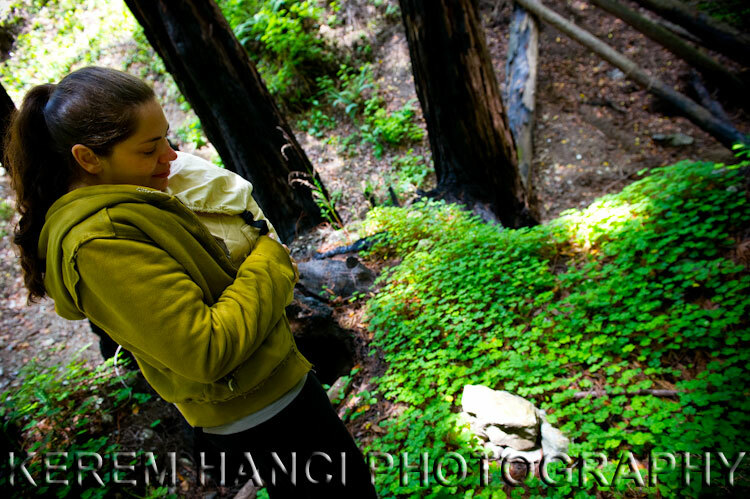 While camping in Limekiln State Park, you can set your tent under the gorgeous red woods next to the fire pit, and in a minute or two, you can just lay at the beach. You can experience two different seasons within minutes in this particular campground! You notice the colorful umbrella? More on that later! I played with Vivienne for a while, she was on my knees, laughing, while I rocked her to sleep. In the mean time, Jen spotted an interesting looking chair, right behind me. As Vivienne was sleeping on my knees, I was trapped in that sweet spot only parents could understand. So I couldn't really see the chair. Once Vivienne woke up from her nap, I was able to move again and I took a few shots of that chair. I did not move it or rearrange its position, I shot it as it is. I most also say that the middle right picture above was shot sitting on that chair. That was basically our first day. 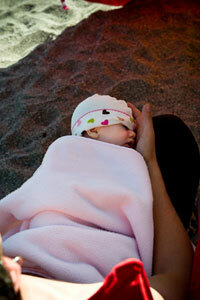 We chilled at the beach, my cousin slept, Jen played with Vivienne and I took pictures. After a great night of sleep, we woke up relatively late. The fact that it was cold around the campground allowed us to sleep longer. 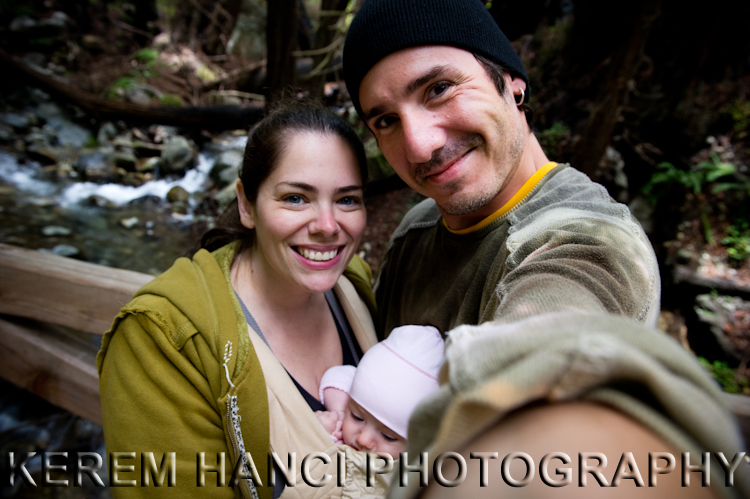 Then we decided to hike the couple of easy hikes of Limekiln State Park. 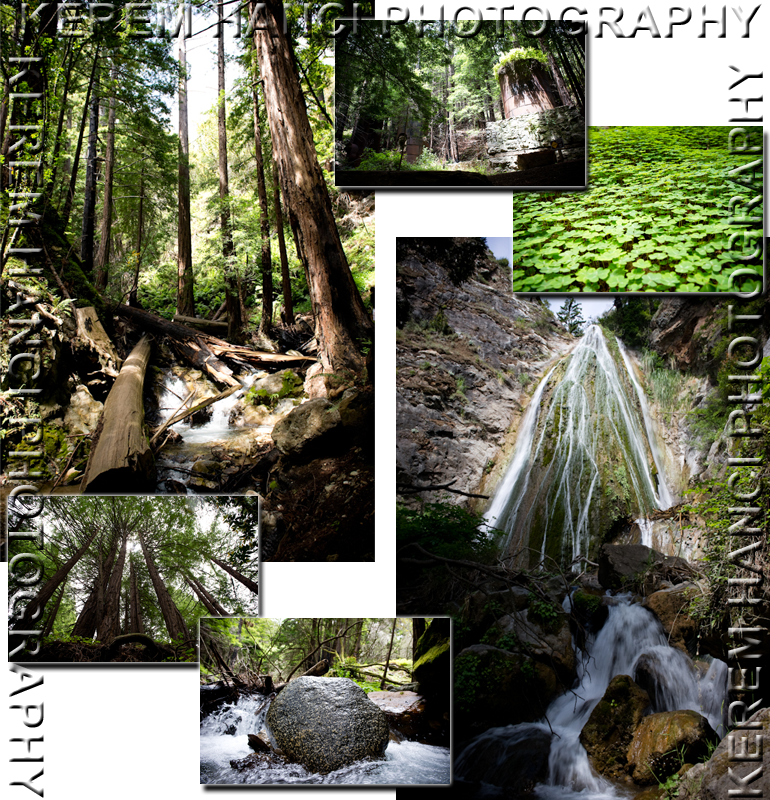 The park takes "its name from its 1870-80s limekiln operations. Quarried limestone was "kilned" (smelted) in four huge wood-ﬁred kilns. The product-powdered lime-was packed into barrels which were then attached to cable that was strung from the canyon wall down to the beach and some 50 yards out into the Paciﬁc Ocean. Schooners slipped into tiny Rockland Cove, as the landing was known, and loaded the lime. The lime, a primary ingredient in cement, was used to construct buildings in Monterey and San Francisco. The backwoods industry was hard on the woods. 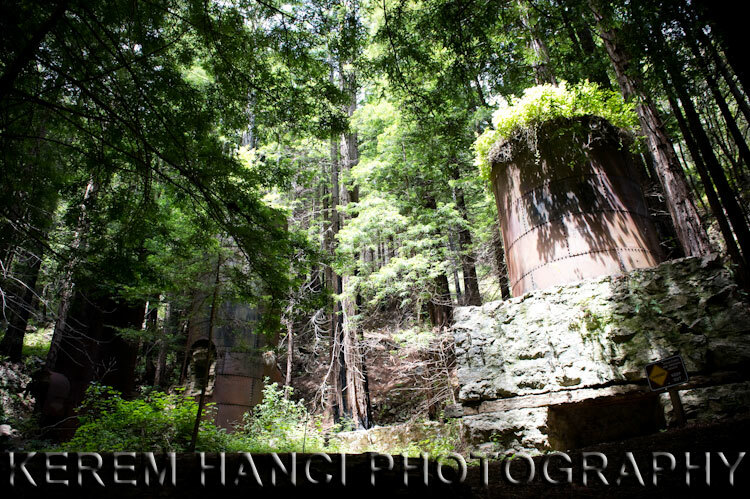 Surrounding redwoods were chopped down to fuel the limekilns and to make barrels to store the lime. 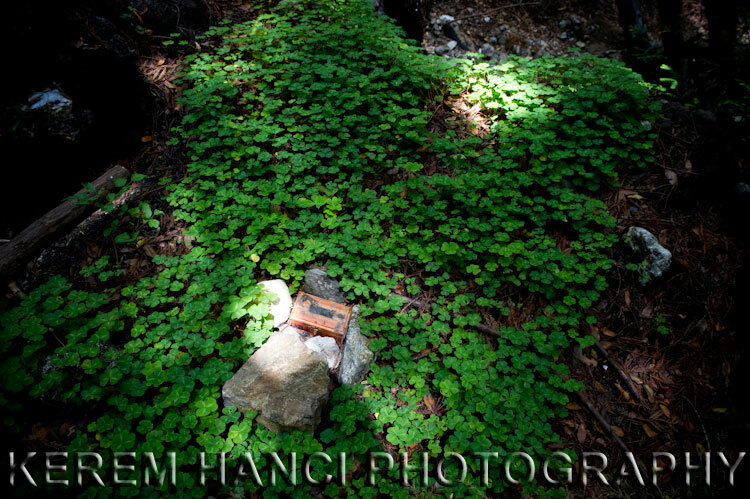 Much of Limekiln Canyon, however, escaped harm from this early industry and, after a quiet century, nature has healed most of Limekiln Canyon's wounds. 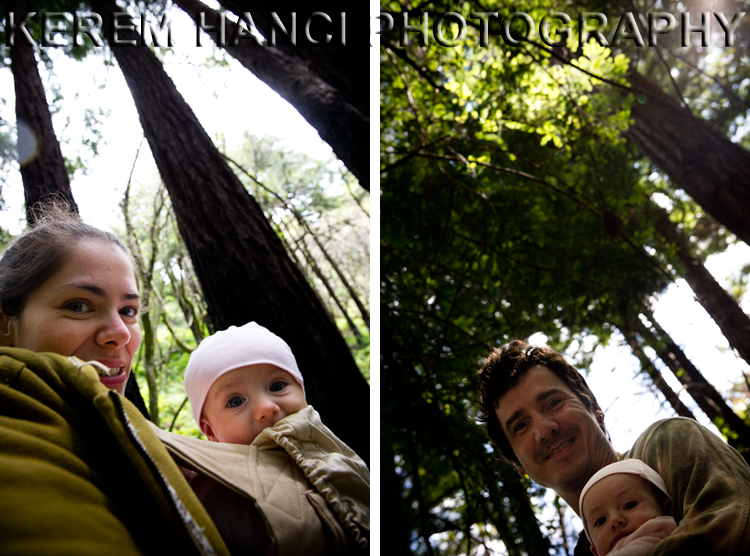 Today the canyon shelters some of the oldest, healthiest, largest and southernmost redwoods in Monterey County. Some scientists speculate that these redwoods, along with those in other nearby steep canyons, may prove to be a special subspecies or variety of redwood that differs slightly from more northerly stands. " 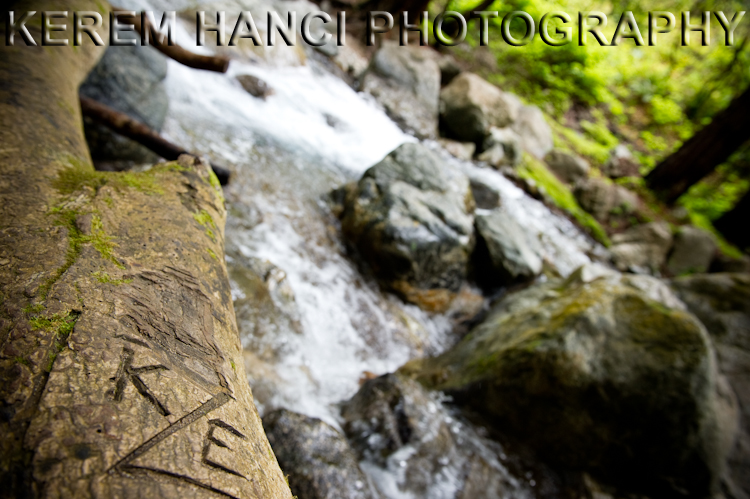 There are two hiking trails, and they are pretty easy and short. One would take you to the above limekilns, the other one would take you to the waterfall that feeds the creek running to the ocean. It truly is one of the best campgrounds. 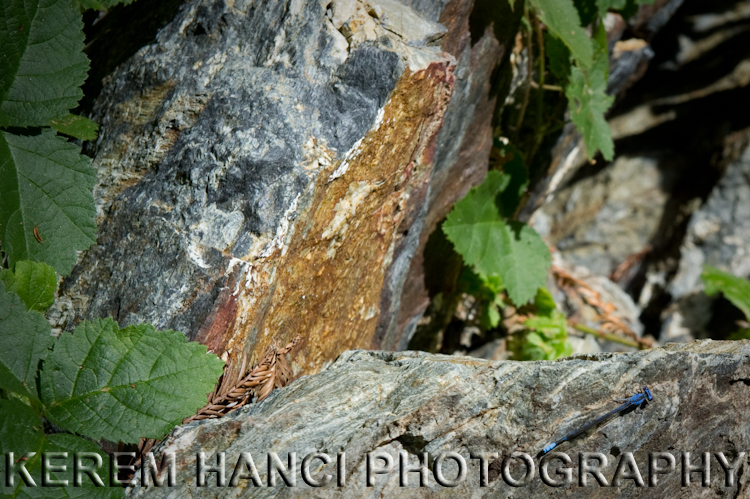 We took both of the hikes in the second day's afternoon. We visited our old friend's resting place as well. The followers of this blog may remember from last year, when Katie passed away, we took her ashes to our favorite place in the nature. And we were pleased to see that her resting place was untouched and we were able to introduce Vivienne to this incredible being who shared so many memories with us. 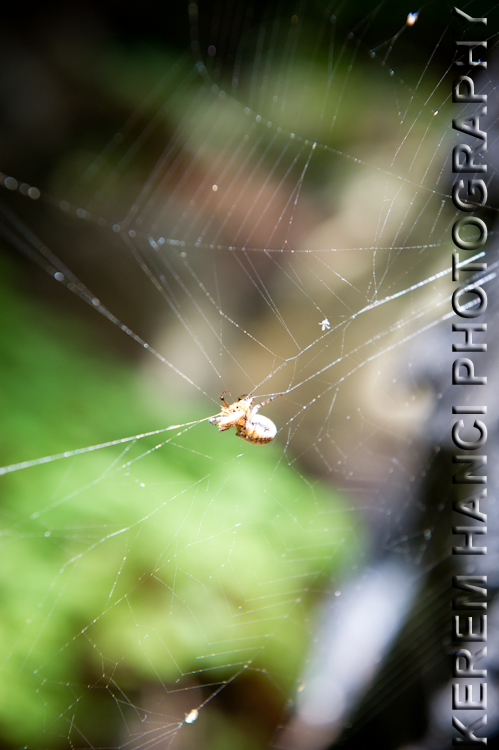 Then I caught this spider devouring its victim for lunch! I have no idea who "K" and "E" are... But there is one thing that I'm certain: Zorro separated them!!! Now the story... You remember that colorful umbrella? 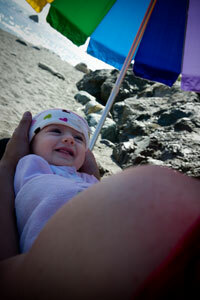 As a very prepared mother, Jen bought it for Vivienne so she can hang out with us in the beach. And it really served its purpose the first day. We would never thought that it would be used for another purpose during this trip. The meteorologists failed us and other campers big time! On the second day, we decided to start the fire early as we had some marinated chicken and it was going to cook slowly! The fire was getting ready and the embers were bright and we were happy. Until I felt a few drops on my face. In no time, the rain started to fall pretty hard and I grabbed the umbrella and opened it on top of the fire in time to save it. As we did not have a grill, we were happy to have salvaged the situation this way. 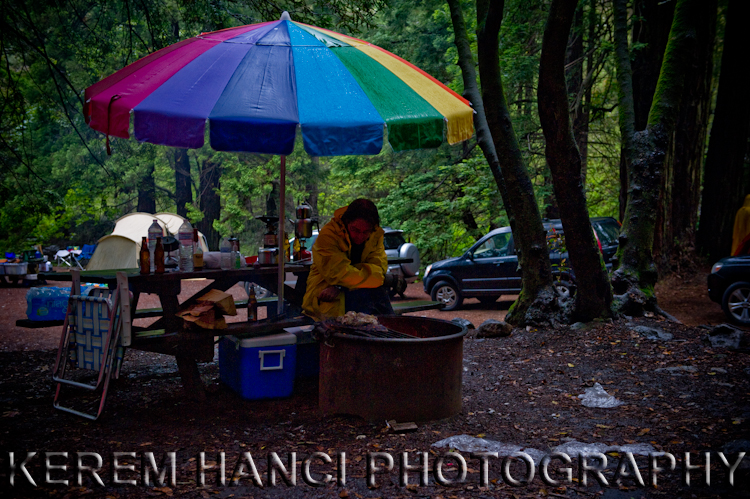 We are all grateful to Cem who stayed under the umbrella, in all the smoke to cook dinner for us! It was raining pretty hard as I said, and I took the above picture under the cover of my car's trunk door. After that, I didn't want to deal with protecting my camera from the rain, so I put it back in its case. Unfortunately, the next chapter of the story did not get visually recorded! Do you remember that huge tent? We had a queen air bed, a pretty decent sized pack-and-play/portable crib for Vivienne, all our bags and equipments in the tent. Once dinner was ready and as we did not want to eat getting soaked (the umbrella was not covering enough space for all three of us), we decided to go in our tent. We had a table and 3 camping chairs inside, in addition to everything else. 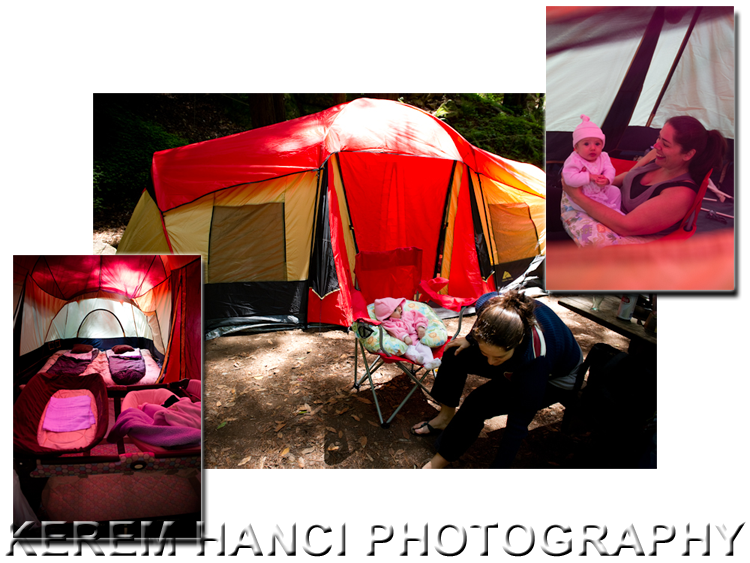 I was feeling like we over-killed with this tent, but it proved itself incredibly convenient and useful! OK, now it's all about Vivienne and a little bit about her parents too! I gotta tell you, I was very proud of my daughter. She was so good and she seemed to have enjoyed every single moment of the trip. The middle photograph is depicting her regular morning routine. She wakes up and she smiles. She seems to wake up in a very good mood like her father. May she smile always like this throughout her entire life! And the last word... 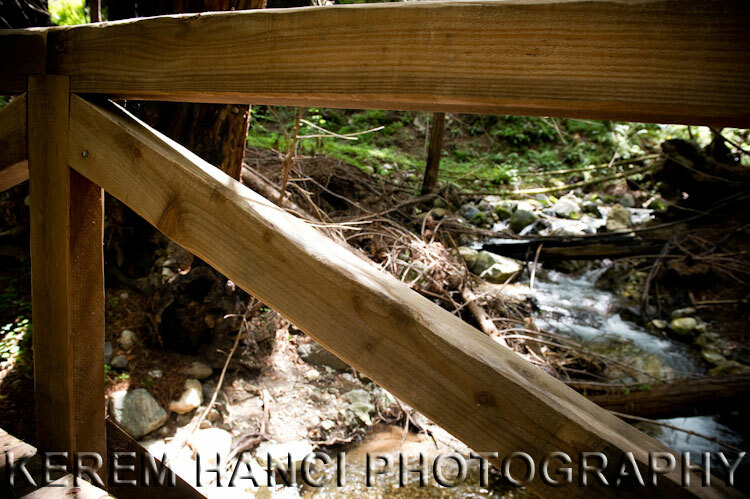 While I was crossing one of the bridges on the hiking trail, I saw this frame in my mind's eye and I snapped it with my camera. 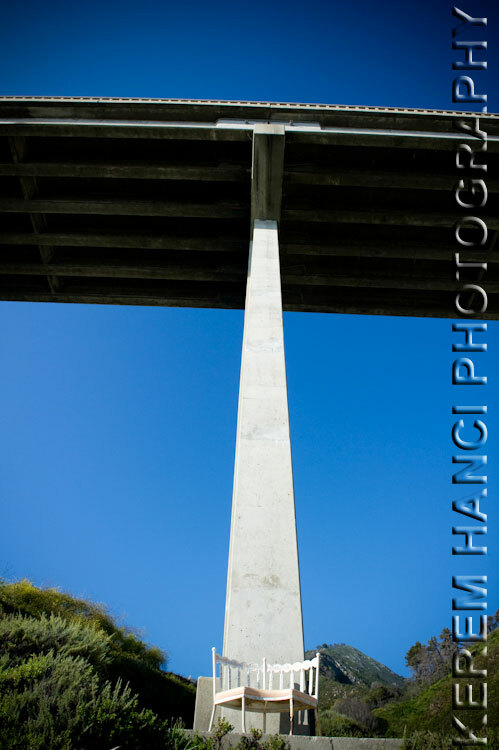 No matter what happens in life, in case you hit the rock-bottom, the only way is UP. I don't know why this came up to me while I was having a great time, but it is always nice to remember that! These photos make me very happy! Yes you guys are very brave for taking Vivienne camping which inspires me for our trip this September. lovely pix!!! viva la vivienne!!! 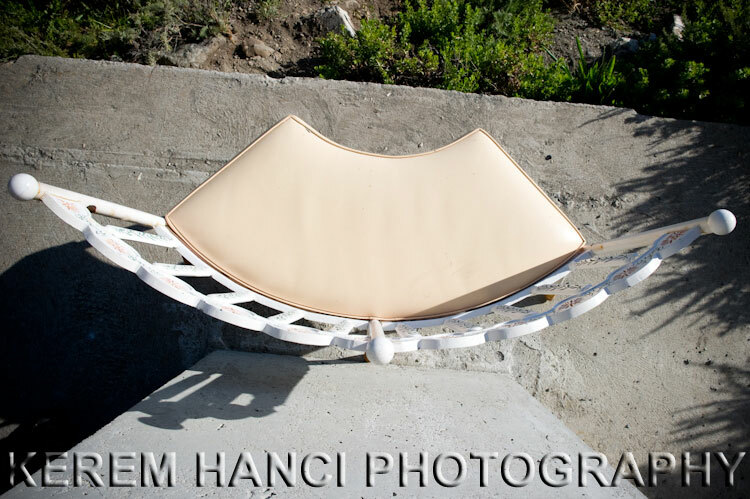 so sweet..looks like you kerem!